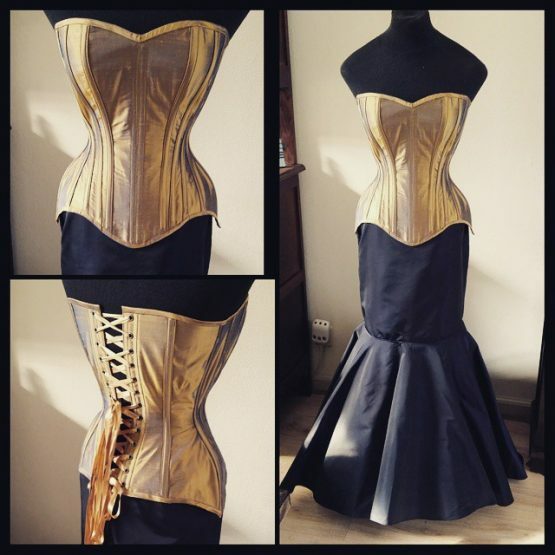 This lovely gold and blue silk corset has been worn at a couple of photoshoots and is now available for sale. 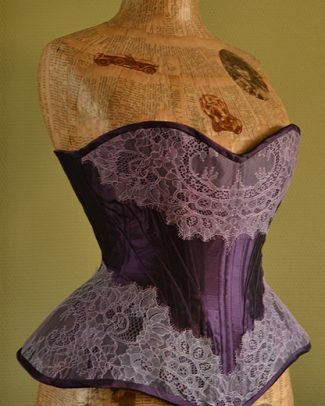 This corset is made out of a lovely silk in a gold color with a blue sheen. It is reinforced with coutil. It has external boning casings with steel boning. 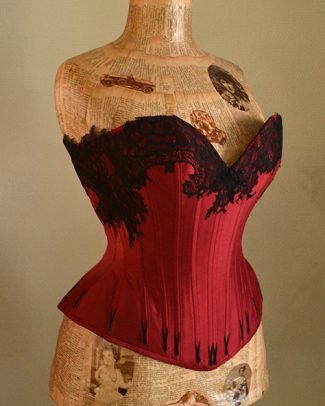 The corset has an amazing curve and is low on the hips. 2 piece grommets at the back. 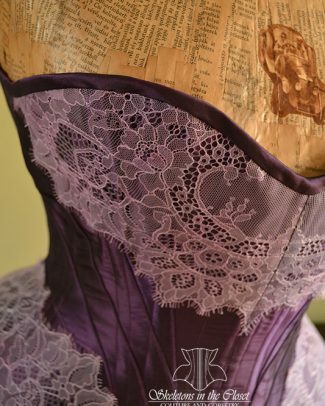 Made to order this corset starts at 360.